US actor Jussie Smollett staged a fake attack on himself because he was “dissatisfied with his salary”, Chicago Police say. The 36-year-old star of the TV series Empire is suspected of paying two Nigerian brothers to stage the attack. They are both co-operating with the investigation, police say. 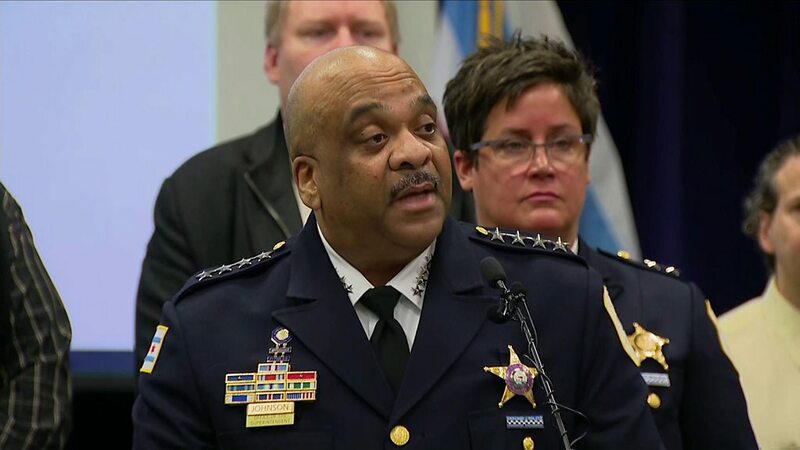 In a scathing news conference on Thursday, Supt Johnson accused the actor of committing a crime “to further his own profile”. “Celebrities, news commentators, and even presidential candidates weighed in on something that was choreographed by an actor,” he said, with palpable anger as he spoke. Suspicion over the actor’s allegations started to grow after police said they could not find any video footage of the alleged incident from over 50 surveillance cameras they reviewed. There were also no witnesses. Police say they have a cheque that Mr Smollett signed and that he had agreed to pay $3,500 (£2,700) for the brothers’ participation. He added that Mr Smollett first “attempted to gain attention by sending a false letter that relied on racial, homophobic and political language” to Fox studios. Mr Smollett turned himself in early on Thursday and is in custody of Chicago police. He will appear before a judge for a bond hearing later on Thursday. What does Smollett say happened? The actor, who is gay, said he had gone out to buy food late at night in downtown Chicago when two white men hurled racial and homophobic insults at him. They allegedly punched the actor, poured a chemical substance over him and put a rope around his neck. Police said on Thursday that some minor scrapes on his face were probably self-inflicted. “I’m left hanging my head and asking why. Why would anyone, especially an African-American man, use the symbolism of a noose to make false accusations?” said Supt Johnson. Mr Smollett also claimed the men had told him “this is Maga country”, apparently referring to President Donald Trump’s “Make America Great Again” slogan. The president tweeted his condemnation after the police news conference, slamming Mr Smollett’s “racist and dangerous comments”. The actor said he had been “forever changed” by the alleged incident.